We were joined at dinner by some of the Goodyear folks, who were staying at the same hotel. It turned out to be quite a memorable meal, the food delicious, the wine excellent, and the conversation peppered with stories of Le Mans races past. Chuck, my co-driver, had arrived by now, and we spent some time going over things. Chuck had been to Le Mans once before, in 1967, when he had driven a Ferrari 365 P2 with Ricardo Rodriguez, so he had some experience driving on the circuit, which he now shared with me. The following morning I had my first experience with "continental" accommodations. Not only was the bathroom down the hall, but one had to stand in line to use it. There was no thought of a relaxed morning constitutional. You got on with the business at hand and made way for the next man. Welcome to France! After breakfast, the team members piled into several cars and headed for scrutineering, which was held in downtown Le Mans, in the shadow of the city's beautiful cathedral. Everything was proceeding smoothly until it came time for us to undergo our physicals. When Chuck was five years old he fell off a car shattering his hip. He didn't complain much, so nobody realized how badly he was hurt. His hip was allowed to heal shattered and he wore special elevator shoes for this condition as a boy. In 1957 he went to the Stanford Hospital in Palo Alto, California to have 2 inches taken off his left Femur to level him out, but still walked with a pronounce limp. The French doctors were apprehensive about allowing him to race. 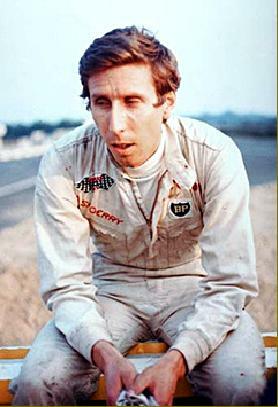 The fact that Chuck was a successful Can Am series driver and had driven at Le Mans before somehow didn't factor into the Gallic equation. There was little we could do but wait for the arrival of the team owner, Luigi Chinetti, who was fluent in French and well versed in dealing with overzealous officials. Being Italian, he knew the best way to handle the situation was to make them an offer they couldn't refuse. 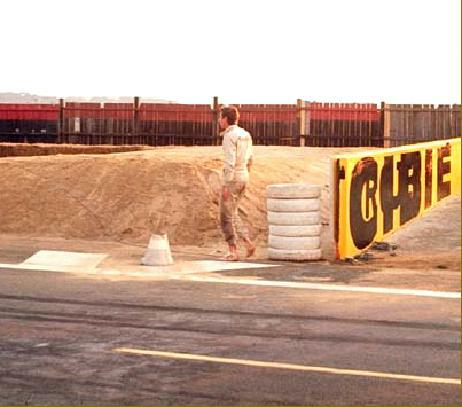 While we weren't privy to the conversation between the ACO bureaucrats and Luigi, the rumor spread quickly that if they didn't allow Chuck to compete, NART would withdraw both our 312 and the 512 that the team had entered for Ronnie Bucknum and Sam Posey. This got the attention of the officials, and Chuck was given the green light to race. 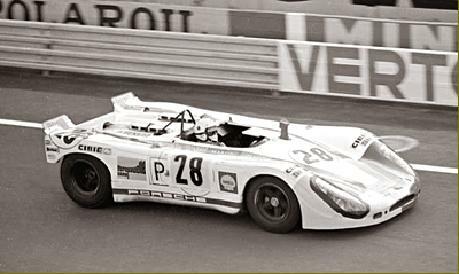 During practice, the #28 Martini Porsche 908, driven by Dieter Spoerry, collided with Jack Brabham's Matra 650. 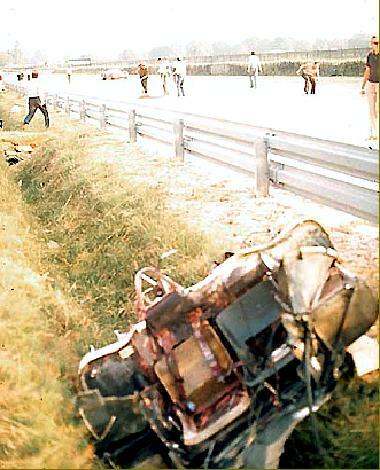 Brabham continued on, but poor Dieter's 908 leaped the guardrail and broke in half while cartwheeling into a ditch. His shoes were torn from his feet, but he was unhurt. For the race, battle for the class win would come down to the two Porsche 908s versus one lone Ferrari 312 P.
During the two days of practice and qualifying, I had ample time to learn the circuit and get comfortable with the 312. There was a virtual armada of big 5-liter Ferraris and Porsches in the field, so our chance for an overall win was remote. 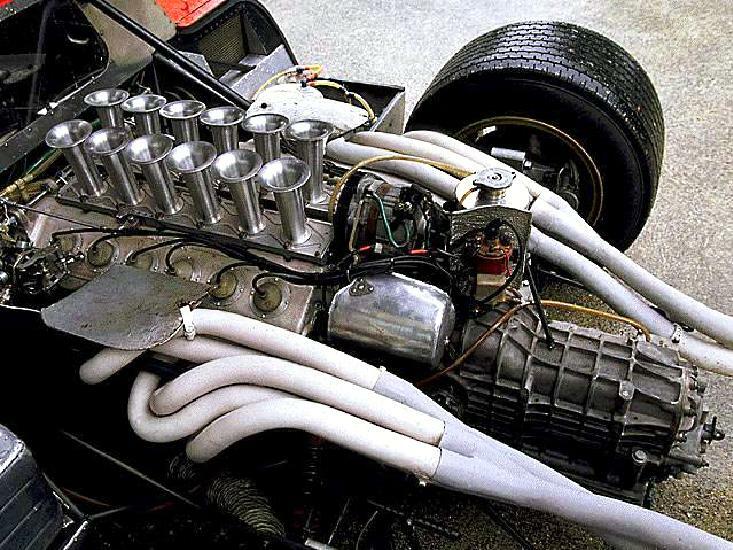 If everything held together, however, a victory in the 3-liter class was a possibility, and here our main competition would come from the 3-liter Porsche 908s, of which there were originally three. 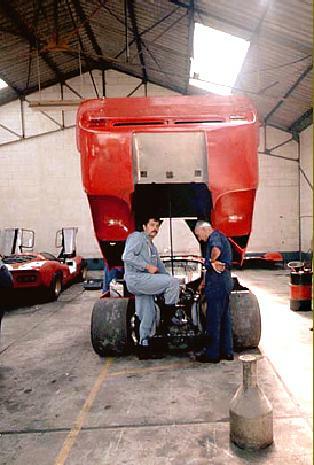 Tony and Chuck experimented with a variety of aero configurations, beginning with no front or rear spoilers at all. 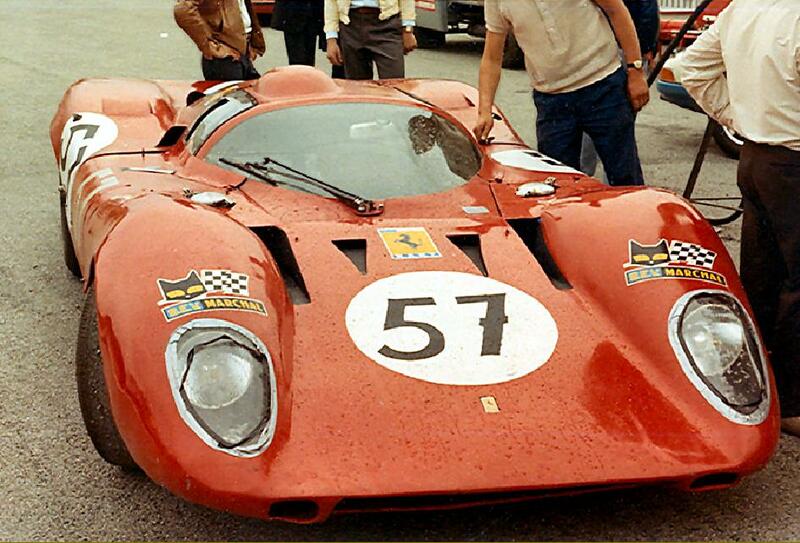 The scrutineering at Le Mans has always been quite a spectacle, but we had no problems, and the ACO sticker was soon in place and stamped - the officials had already ended up losing one battle with Chinetti so they weren't going to risk another confrontation.